Bet on Courtois Moving to Real Madrid at 1/4 with Bet Victor. Chelsea supporters could well have Napoli owner Aurelio De Laurentiis to thank should their goalkeeper Thibaut Courtois leave Stamford Bridge this summer. The notoriously stubborn President well and truly dug his heels in following the appointment of Carlo Ancelotti at the Stadio San Paolo, forcing the Blues to fight to appoint Maurizio Sarri and leaving Antonio Conte in place for far longer than they wanted. This has given the new man in charge just under a month to sort out his pre-season preparations, allowing Courtois time to ponder his future at the club without anyone to reassure him of his position. It is important to note that a lack of forward planning by Chelsea has left the goalkeeper gradually eating into the last 12 months of his contract, with his value rapidly diminishing. What follows is a look at the future of the goalkeeper, a list of potential destinations and relevant odds on each outcome for football betting fans to consider. The Blues may have lost out on Brazilian star Alisson to Liverpool, but reports suggest that Pepe Reina is close to a £9 million move to London in order to meet up with former Napoli boss Sarri once again. The 35-year-old stopper only completed a move to AC Milan earlier this summer, however the temptation for all parties to complete the deal could prove to be too great. Whether Reina is up to replacing Courtois remains to be seen, but his arrival could sway the decision whether or not to let the Belgian go. With this in mind, William Hill offer 7/2 on the stopper staying on to work with Sarri, however it does seem more likely that Chelsea will want to cash in now. 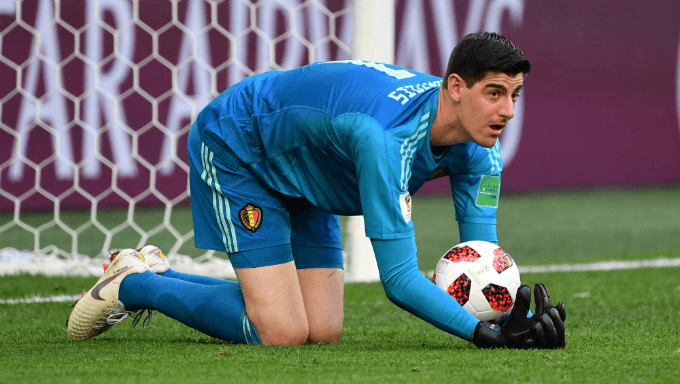 With speculation having been mounting for some time now, it seems like Real Madrid remain the most likely candidate to secure the highly-coveted goalkeeper should he move on from Chelsea this summer. Los Merengues are said to be keen due to some excellent performances on the biggest stage at this summer’s World Cup. Coupled with the fact that his two children reside in Spain’s capital, these facts make this move look more and more likely, especially as new Coach Julen Lopetegui is said to be unconvinced by current number one Keylor Navas. Football betting fans would therefore be wise to place a bet on this eventuality, with Bet Victor currently offering the best odds at 1/4. Juventus may have allowed Gianluigi Buffon to join PSG after 17 years with the club, but it seems highly unlikely that Courtois will join the Turin giants this summer. Both William Hill and Ladbrokes offer this outcome at 25/1 after a move was rumoured, however the Bianconeri will undoubtedly have bigger priorities after having secured the coup of the summer when they brought in Cristiano Ronaldo earlier this month. Wojciech Szczesny has inherited the number one shirt from the now departed Buffon is backed up more than adequately by young Italian star Mattia Perin. The 25-year-old joined this summer from Genoa in a €12 million deal, meaning that the Old Lady has plenty of cover between the sticks. A return to Atletico is available via William Hill at 16/1, along with a departure for Barcelona at 40/1, both of which are certainly more likely than Courtois making his debut in Turin later this summer. Parisian outfit PSG reportedly spoke to Courtois about a potential move back in March, with his arrival potentially paving way for the departure of highly-coveted French stopper Alphonse Areola this summer. Should the Ligue 1 side successfully navigate FFP parameters, the addition of Courtois would allow a seamless rotation between himself and 40-year-old Buffon, who is not cut out to play every single match. William Hill offer the best odds on this transfer at 40/1, an excellent bet on a move that could well be on the cards as the summer window progresses. What’s more, the moves already completed since the end of the 2017/18 campaign have highlighted that anything is possible, making it even more important to take advantage of these excellent odds currently on offer from the bookmaker.